AWFS Fair has announced the 2015 Visionary Awards finalists: 25 products from 22 companies will judged in seven categories: Environmental, Ergonomics, Safety, Plastics Supply and Technology, Innovative Technology and Productivity. Winners will be announced at an awards ceremony Friday, July 25, at 9:15 a.m. on the AWFS Fair Stage. ImagePaint is the first and only software that allows the user to paint vector shapes with JPEG images scanned into the computer. These images are digital images of real wood veneers, marbles, fabrics, mother-of-pearl, or any other material used to create furniture, cabinets, wood flooring, art craft and other high-end decorative products. ImagePaint automatically transforms a finished design into tool-path (vector shapes) that are optimized for CNC machines, such as laser engravers, routers and waterjet cutters. Biesse and Viet introduce the ultimate solution for the removal of “Cross Grain” scratching the industry has been searching for. Until now, the search has been one of frustration, disappointment and excessive cost. The patented Opera R1 delivers high-quality sanding results normally only obtained from manual hand sanding but in an automated way. It addresses inconsistent removal of cross grain scratch and delivers a consistent finish quality from the first door to the last. Light Ready Light Rail and LED Lighting offers the perfect combination of Form and Function. Light Ready Light Rail moulding is specifically designed to be used with today’s LED lighting. Designed with both a 45 degree and 90 degree cut, offering under cabinet lighting has never been easier. Whether new build, high-end remodel or a simple cabinet reface job, Light Ready Light Rail can bring more value to a job, offering four designs, 19 carved inserts, and easy installation. C.R. Onsrud is pleased to present the InnoAgg Labeling System. This CNC aggregate system allows for in-process parts labeling with either sticky-back labels, or direct-to-part ink jet labeling. Both of the InnoAgg aggregates have been engineered to rest in a standard tool changer until called upon, and offer the manufacturer the ease and efficiency of hands-free product labeling. Looking for high flexibility, productivity, reliability and production economy? Learn more about Mito 2K. The Mito 2K is a cost-effective spray solution for small-to-medium manufacturers that is suitable for water and solvent-based materials, as well as adhesives. Each unit can be fitted with four guns in two circuits with recycling. An in-feed part scanner assures application accuracy, and a dual dry-filtration system removes overspray and reduces maintenance. The Easy Cut Machine Center designed for the entry level operator for the 24/7 production facility, features a reduced learning curve with built-in libraries, ready-to-cut cabinets, closets, entertainment centers, MDF doors and more, all done at the control center including printing, product labels and product build sheets. The new Easy Cut Machine Center has an open architecture that allows for virtually any software to be installed via G-code and is “plug-and-play” ready. Colonial Saw is pleased to announce another new innovation from Lamello, the TENSO P14 self clamping invisible glue aid connector. TENSO P14 reduces production time and increases shop efficiency. Also, TENSO P14 eliminates the need for external clamps, providing faster and easier assembly of wood products. Colonial Saw is pleased to announce the latest innovation from Lamello, the Divario P18 connector. Lamello, Divario P18 is a self-clamping, sliding connector hardware element that creates completely invisible joints for shelves, uprights and dividers. Divario P18 is strong, fast and easy to use. Learn more about both products at Colonial Saw in booth 9206. Elaser Xpress is a comprehensive, portable 3D laser measuring system for as-built applications. With direct file outputs to Cabinet Vision, 2020 Design and KCD, ELaser Xpress is the perfect tool for the field measuring process in the kitchen and bath industries. By creating accurate 3D during the measuring process, Elaser Express streamlines the workflow field measure to design to fabrication and installation, saving both time and materials (money). 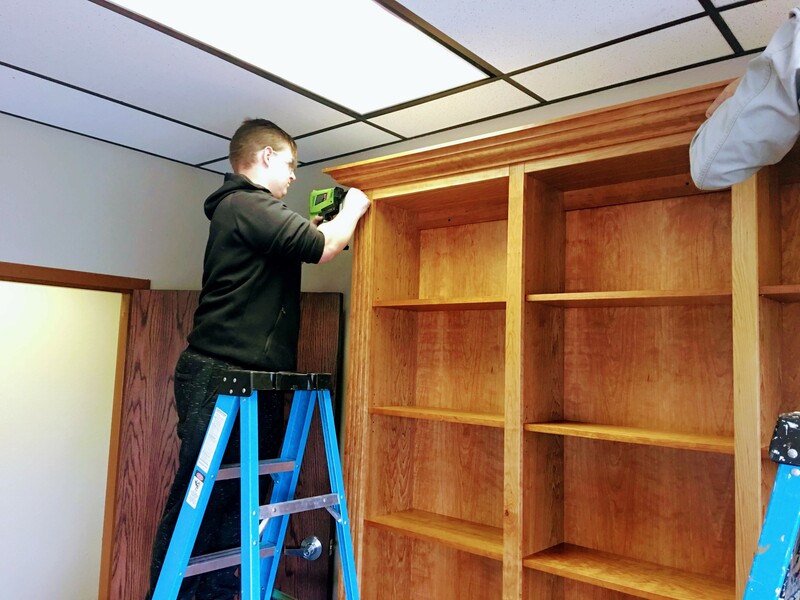 With the new CONTURO edgebander, it's just as easy to apply edgebanding on the job site as it is in the shop. Even if you have a large stationary edgebanding machine, the CONTURO can complement your edgebanding process by giving you a way to work with radii, circular pieces, bevels and small pieces. Frontline Engineering’s 49” Panel Clamp is an industrial-quality built panel clamp that is designed to save time, money and improve the quality of your finished work by holding your panels flat with their patented four-way clamping system. The high strength of the extruded aluminum, hardened steel fasteners and thrust bearings show off the quality of workmanship that goes into these heavy-duty panel clamps. Vionaro creates a drawer system offering a unique innovative design, slim drawer dimensions and high-grade material. The cubist drawer system has strong right angles with a slim 13mm double-wall side, guaranteeing more interior storage space in the drawer. The Vionaro drawer members travel on Grass’ concealed undermount system, Dynapro. This combination offers Vionaro excellent running performance due to the synchronization mechanism. Vionaro offers 3D adjustment; two heights, 89mm and 185mm in sliver, grey and graphite. Querkus follows the contemporary interior design trends of customizable textured wood. Both reclaimed timbers and European oak are sliced into veneer and glued together using a special patented process creating a veneered panel with the look of solid lumber. The technique also allows for different veneer thicknesses, providing a solution for every budget and every use. The thicker veneers provide a medium for additional texturizing through natural brushing and scratching options. Shinnoki is a prefinished architectural wood panel that is ready to use, offering 17 real wood designs in a broad choice of colors, styles and species of wood with the look of solid wood, thanks to a patented mix-match technique. Colors are always consistent due to an industrial varnishing process at the factory level. FSC certified and produced without the use of urea-formaldehyde, Shinnoki is locally stocked and available in North America. HOLZ-HER's New Evolution series represents a new level of technology and flexibility for CNC machining centers. The machines have a very small space requirement and deliver a high level of productivity. The vacuum-based clamping system (patent pending) is equipped with software-controlled, fully automatic suction cup positioning with hole recognition, allowing workpieces to be machined on all four sides without re-clamping. The standard drilling head is well equipped with nine vertical and six horizontal drills and a grooving saw. The optional XL drilling head has up to 22 drilling spindles and a grooving saw. The high-performance router spindle with automatic tool changer delivers even greater flexibility and extremely fast cycle times. 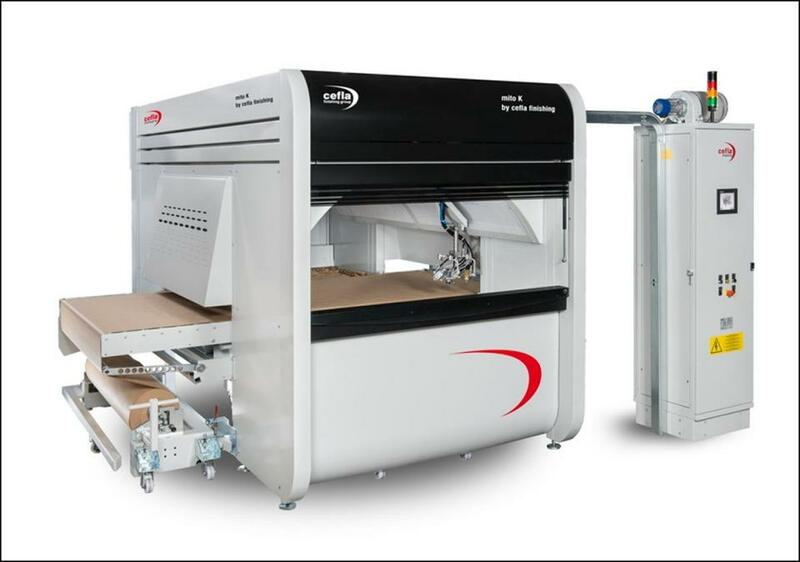 The new LUMINA Edgebander Series from HOLZ-HER features both the new Ltronic NIR System for laser edges and the GluJet System for standard edgeband types. The Quick Exchange System provides ultimate flexibility with a change between systems in less than 5 minutes. Ltronic hot air requires no heat-up time and uses needs no compressed air. 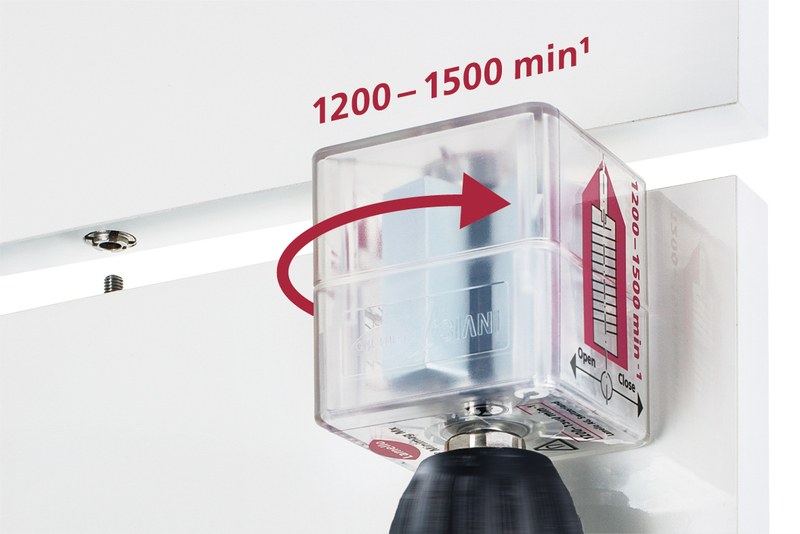 Lumina incorporates GluJet gluing with minimum energy consumption resulting from short heat-up time in 3 minutes and up to 90% energy savings vs standard glue pots. The INVIS Mx2 Starter Kit now has everything you need to get started. 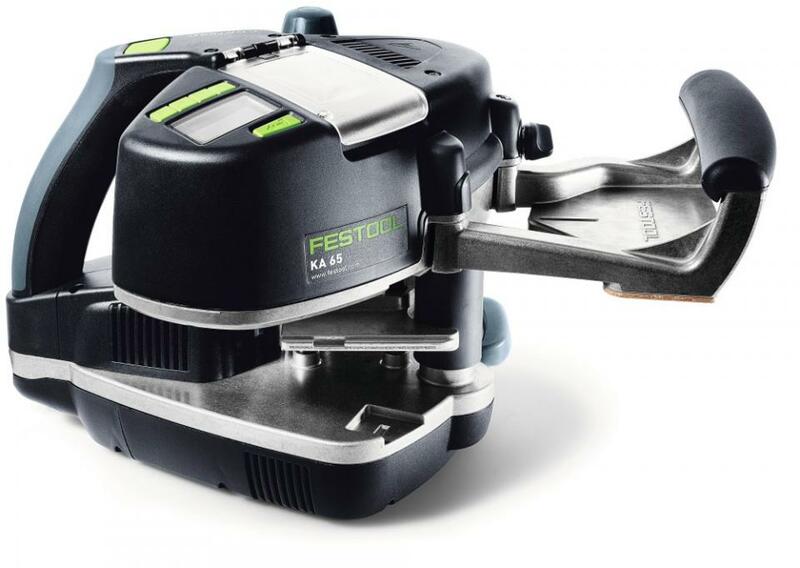 Drilling and inserting of the new Mx2 fasteners is now even easier and faster. The Mx2 Minimag is an adaptor that attaches to any standard drill with 1200-1500 RPM. The rotating magnet is 50 percent larger with more powerful clamping of the joint. The screw within the fastener threads itself into the inside thread of the stud-driver by the contact-free magnetic field. To open the fastener, simply reverse the direction of the drill. The actuator is in a clear casing allowing visibility of the rotation of the magnet. You are able to see if the fastener is opening or closing. The INVIS Mx2 Minimag is part of the patented joinery system based upon the use of virtual magnetic non-contact activated fasteners. The Mx2 Minimag makes it possible to make completely invisible joints that are easy to lock and detach. INVIS is based on the principle of a fastener driven by a small VMM (virtual magnetic motor) contained within the fastener. This rare earth magnet is activated by an external, non-contact, power source called the INVIS Actuator (Mx2 Minimag). The Mx2 Minimag, and ergonomically designed, battery powered, hand held unit that activates the VMM, which causes the fastener to rotate in either a clockwise or counterclockwise direction thus making it possible for the joints to be firmly secured or detached with equal ease. Leitz ProfilCut profiled insert system establishes a new level of speed and productivity with ProfilCut Q Premium. The unique ProfilCut insert locating system, which precisely locates inserts in both radial and axial planes, while preventing knife movement due to centrifugal forces, has been enhanced. ProfilCut Q Premium adds a safety-seated knife which allows the heads to spin 50% faster. The RPM increase results in 50% faster feed rates and significantly improved productivity. Leitz ProfilCut Q Premium, a “Quicker” solution to precise “Quality” and “Quantifiable” savings. CNC Piranha Fx , the Make Anything machine, is a CNC routing system that can also 3D Print and Laser Engrave. CNC Piranha Fx is the latest – and smallest – of Next Wave’s CNC systems and the only machine at press date that has 3D printing, laser engraving, along with CNC routing/carving functionality. WoodCAD/CAM is a 3D/2D AutoCAD and SQL software. ROI is based on a 50 percent savings for engineering “one offs.” There is also an average 70 percent savings on making 2D submittals by building the data quickly in solid modeling, leveraging the SQL database, then using the data to automatically generate floor plans, elevations, sectionals on any planes, cutlists, and G-code for saws and routers, as well as material costs, labor demands, and proper part and product labels. This product is used for store fixtures, law offices, restaurants, hospitals, schools, dorm furniture, hotel furniture, reception desks and airport facilities. It features total flexibility with no dependency on formulas. 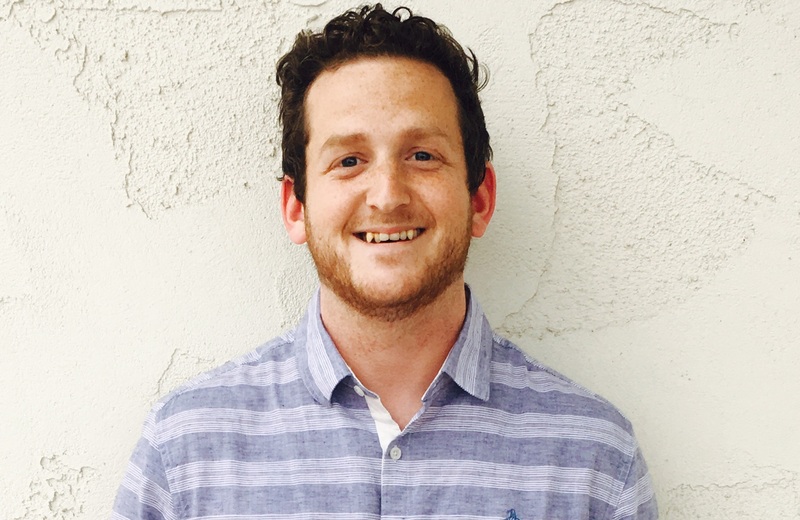 Extremely detailed integration strategies are deployed to accelerate ROI. The SawStop Jobsite Saw is the highest and most portable SawStop yet, and incorporates many groundbreaking features never before seen on a portable table saw. Using technology proven over a decade and thousands of finger saves, the Jobsite Saw detects contact with skin on the blade and stops the blade in less than five milliseconds. The Jobsite Saw also showcases multiple pioneering innovations that increase accuracy, save time and improve results. Borke – Smoked Larch – Deeply textured real wood panel. Created using real wood veneers, the texture is embossed into the board using high pressure and heat to create a truly unique look. Schenk's Stijl panel line was used on the cover of the AWFS 2015 Show Directory. 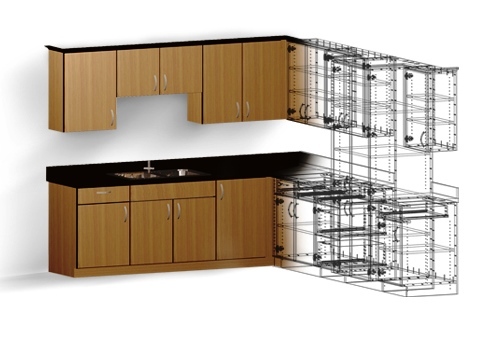 Striplox Rapid Assembly Connectors are revolutionizing the design and cabinetry industry worldwide by providing fast, strong, versatile and easy-to -use concealed joining and fastening solutions. 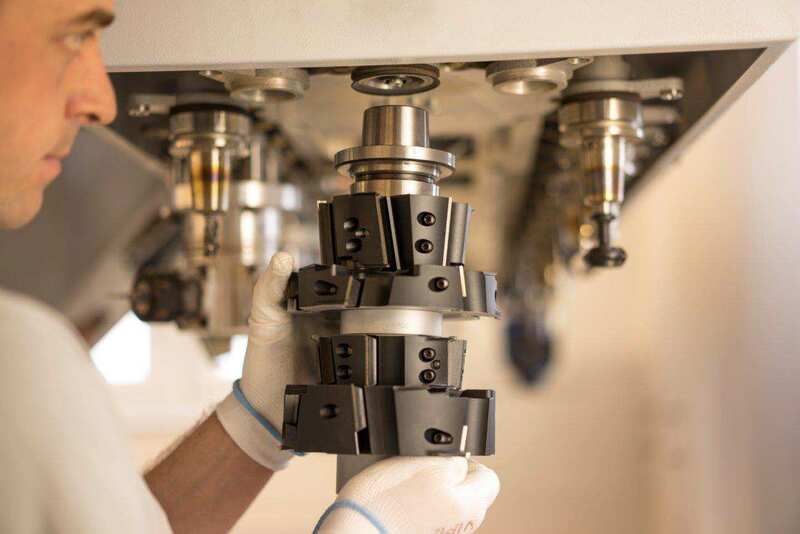 With hundreds of applications and installations offsite or onsite without specialist tools or skilled personnel, these connectors are delivering significant savings in materials, labor, production, shipping and assembly costs. SurfPrep is the new name in woodworking. When it comes to preparing a surface to stain, primer, lacquer or any topcoat sanding, SurfPrep is your go-to. The foundation of the SurfPrep Sanding System was built with extreme attention to detail in manufacturing from abrasives and sanders. Today, we’ve continued carving out new products with the focus of reducing both labor and sanding material costs; widebelts, film discs/sheets, paper discs, air/electric sanders and more. Vortex Tool Company has developed a Tool Selection Guide App to simplify tool selection based on your cutting needs. 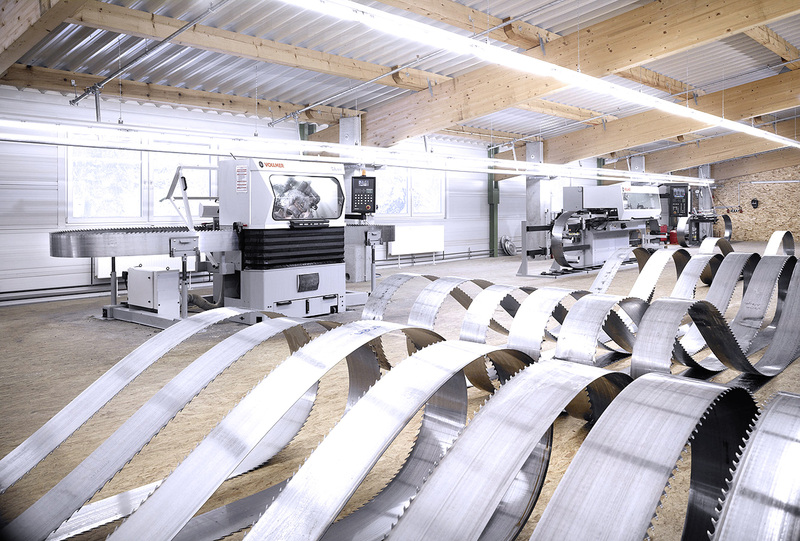 Users input the type of material being cut, the horsepower of the CNC machine, the tool diameter, the thickness of material and the type of cut desired, and the Toll Selection Guide App will recommend the best tool for your application. The app also includes calculators to determine chipload, feed rate, RPM and metric conversions.